The 2019 Dodge Durango is a good choice for today’s families. Not only does this midsize crossover provide plenty space on the inside, but it’s also powerful enough to tow a sizable load. Furthermore, very few family vehicles deliver as much driving excitement as the new Durango SRT. Meanwhile, muscle-bound styling enables the Durango to make a bold statement on the road. Before you make the decision to buy a new Durango, first find out how it stacks up against the competition. A few important updates were made to the 2019 Dodge Durango. To accentuate the GT model’s sporty styling, Dodge added a performance hood and a SRT front fascia. If you plan to do a lot of towing, take advantage of the Durango’s new integrated trailer brake. Some of the available trims also offer a greater number of options. 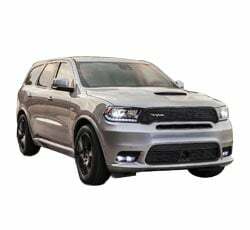 Although the 2019 Dodge Durango can be equipped with a V8 engine, the standard V6 is good enough for most drivers. It’s rated to generate just shy of 300 horsepower and 260 pound-feet of torque. When accelerating around town, the V6-powered Durango feels quite strong. An eight-speed automatic transmission helps you to get the most performance out of the engine. You’ll also enjoy solid fuel economy, which tops out at 26 mpg. Introduced last year, the Durango SRT is a genuine powerhouse. Dodge tweaked the SRT model’s HEMI V8 engine to develop an eye-popping 475 horsepower. The extra brawn transforms the Durango into one of the quickest three-row crossovers on the street. It posted a scorching 0-60 time of 4.4 seconds. Aside from the Durango SRT’s pure muscle, it also benefits from adaptive suspension dampers and a sportier steering system. The 2019 Dodge Durango is more than just a family hauler. It’s also tough enough to travel off the beaten path. A relatively high ground clearance helps the Durango to overcome deep snow and mud. Although the Durango doesn’t have the off-road chops of the Jeep Grand Cherokee, it won’t have any trouble handling a basic trail. A traction-enhancing AWD system is optional on every trim. If you don’t have the luxury of owning a pickup truck, the 2019 Dodge Durango will do the trick. While even the V6-powered Durango can lug up to 6,200 pounds, some drivers will enjoy the Durango SRT’s 8,700-pound towing capacity. From fishing boats to other vehicles, you’ll be able to tow a wide range of different things. Standard trailer sway control and a load-leveling rear suspension give the Durango an extra measure of stability. In terms of passenger comfort, the 2019 Dodge Durango deserves to be mentioned among the class leaders. While the base Durango can seat up to seven people, optional second-row captain’s chairs decrease the SUV’s capacity to six. Even folks sitting in the third row won’t feel cramped. To experience more relaxation on the road, upgrade to one of the higher trim levels. The Durango’s heated and ventilated seats will certainly help you to feel at home. 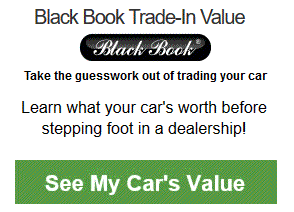 Drivers who need to limit their spending should consider buying the base SXT model. It starts at less than $30,000, which is a good value for such a nice SUV. It’s stylish and reasonably good on gas. 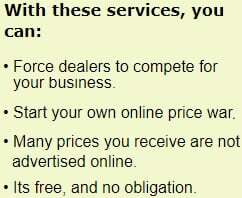 You’ll also be rewarded with an attractive number of standard features. Some of the highlights include a 7.0-inch touch screen with smartphone integration, three-zone climate control, and Bluetooth phone connectivity. The 2019 Dodge Durango looks like a muscular athlete. A large crosshair grille helps give the Durango a distinctive appearance. Drivers seeking an even meaner look will love the refreshed GT model. It now features a functional SRT hood, which helps funnel extra air into the engine. Dodge also dressed up the GT model by installing a sportier front fascia. Some of the coolest Durango paint colors include White Knuckle Clearcoat, Redline 2, and Billet Clearcoat. While riding in the new Durango, you and your passengers will be able to stay entertained. The Durango’s Uconnect infotainment system is fast and simple to use. Meanwhile, music lovers should experience the optional Harman Kardon sound system. An 825-watt amp enables the system to produce heart-pounding bass and distortion-free highs. On the other hand, the dual-screen entertainment system will make long road trips more exciting for kids. They can watch their favorite movies and play video games in HD. Blind-spot monitoring is considered to be one of today’s best safety technologies. It helps make you more aware of unseen vehicles on the highway. This year, even the base Durango SXT offers blind-spot monitoring and rear cross-traffic alert. Advanced driving aids, such as forward collision intervention and lane-keep assist, are available on the more upscale trims. Dodge gives you two different Hemi V8 engines to choose from. Both of them sound great. When accelerating on the road, you’ll grow to love the V8-powered Durango’s quiet rumble under the hood. A powerful exhaust note adds to the Durango’s driving excitement. No other three-row SUV on the market sounds more exciting than the Durango SRT. If you desire the V8 Durango's power, prepare to get below-average fuel economy. While the 5.7L Hemi engine returns a combined 17 mpg, the larger 6.4L variant guzzles down fuel at an even faster rate. Furthermore, you will need to use at least mid-grade gasoline. To get the best economy, settle for the standard Pentastar V6. The average driver will have no complaints about the Durango's ride. However, expect the sports-tuned R/T model's ride to be just a bit bumpy on certain road surfaces. Folks who don't desire enhanced handling should stay with the standard suspension setup. Unfortunately, the 2019 Dodge Durango wasn't able to garner a five-star overall safety rating. It doesn't provide as much driver-side front crash protection as some rivals. 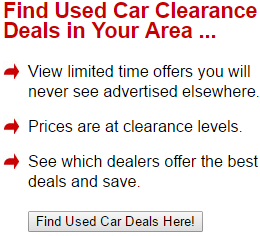 You should also be aware of the SUV's three-star rollover rating. The Honda Pilot is less likely to experience a roll over. Dodge Durango SRT gives you a lot for your money. Nevertheless, it is more expensive than some people can afford. Prices start at more than $62,000. Optional features, such as upgraded Laguna leather and a rear-seat entertainment system, will add to the Durango SRT's steep price. The 2019 Dodge Durango competes against three-row SUVs such as the 2019 Honda Pilot and the 2019 Toyota Highlander. Most people will agree that the V8-powered Durango models are more fun to drive. You can also use the Durango to tow a bigger load. However, both the Toyota Highlander and the Honda Pilot deliver more savings at the pump. You can also compare the 2019 Dodge Durango to the 2019 Ford Explorer. While the Explorer can't match the Durango's towing abilities, it does offer luxurious features such as onboard Wi-Fi and a self-parking system. Ford also produces a high-output Explorer Sport model, which goes head-to-head against the Durango R/T. When searching for a new SUV that can accommodate your entire family, don't forget about the 2019 Dodge Durango. While the V6-powered Durango is easier on the wallet, the V8 models are especially thrilling to drive. Truck-like towing capabilities make the 2019 Dodge Durango an even more versatile family vehicle. Passenger comfort is second to none in the segment. You also can't forget about the Durango's powerful appearance. On the downside, Durango models fitted with a V8 engine return poor fuel economy. You should also take a strong look at the Durango's safety scores.